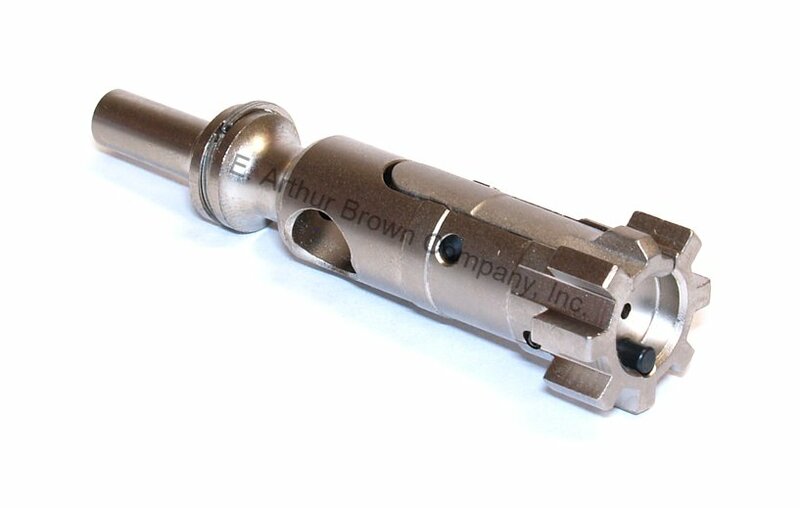 Our EABCO 24" Stainless Steel AR-15 Fluted Bull Barrel is fully chambered and ready to install on an upper receiver. 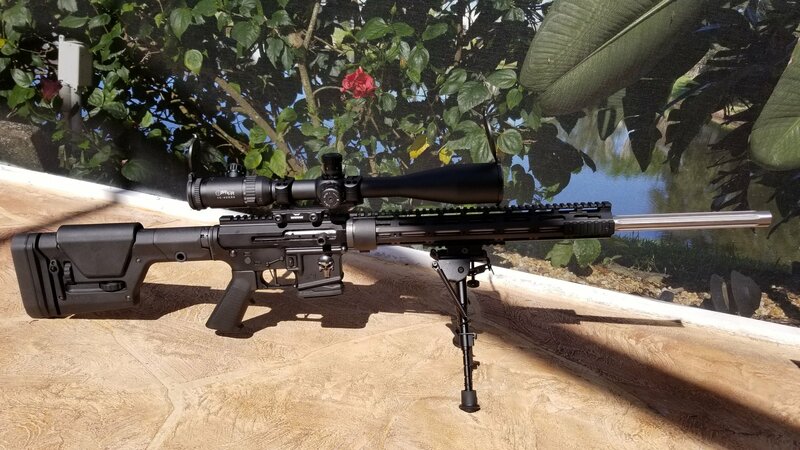 It features an 11° target crown for enhanced accuracy potential, and is compatible with BOTH .223 Remington and 5.56 NATO ammunition. 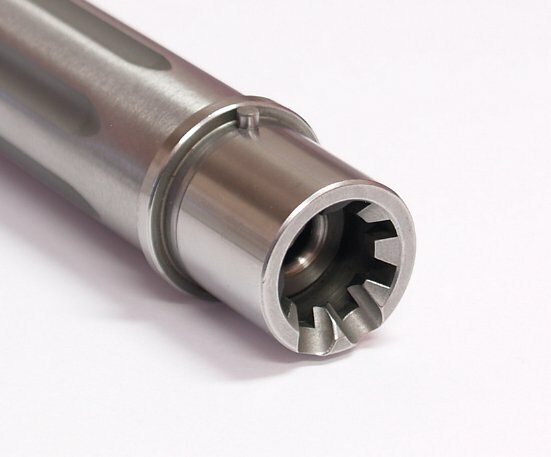 This barrel is chambered for 223 Remington Wylde (which is preferred by National Match rifle builders), and rifled 1:9 twist which is optimal for light- to medium-weight bullets up to 69 grains. Ready to install with M4 feed ramps barrel extension and locator pin included. Exterior Diameter at Gas Port: 0.936"
Oversized Nut required for 1.050 Std Bull Barrel. Inside diameter of the nut must clear 1.050" barrel diameter. Some customers have simply widened the opening of their barrel nut to fit the barrel and then used their existing free float handguard. Our Hogue free float handguards include an oversized nut. Our Carbon Fiber Free Float Hanguards use the original Mil Spec nut. I have not had a chance to shoot real long range with this barrel just indoor range 25 yards but it shoots through same whole ,looks great ,love it ! The barrel nut issue was more of a pain than anticipated, but a lathe fixed that for me. Overall I am very pleased with it. 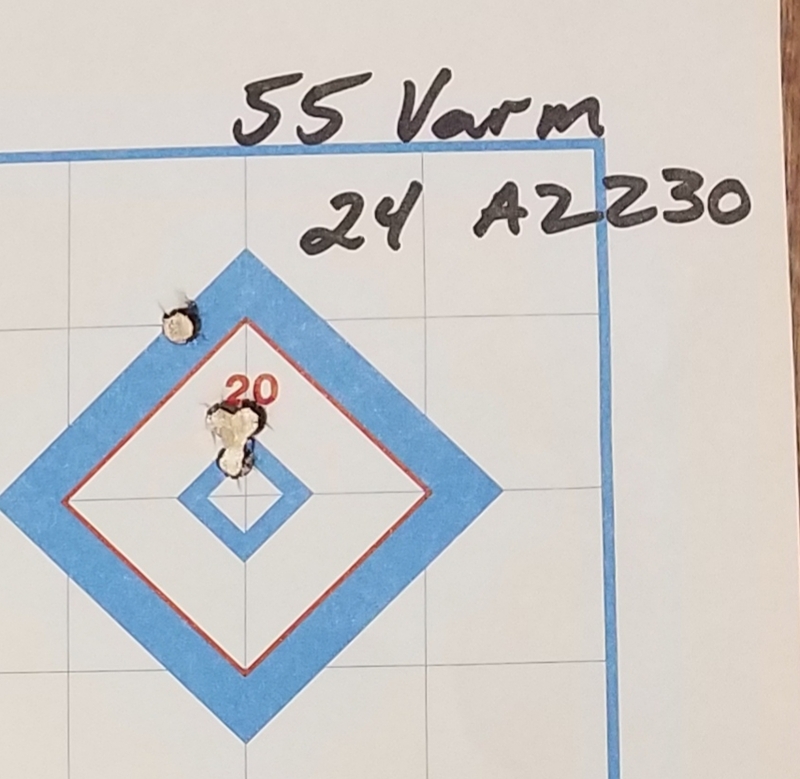 Shoots 1/2" groups at 100 yards with 55gr hand loads and a little larger with 60gr (5 shot groups). Probably one of the more accurate barrels for half the money. I would buy again. I'm very pleased with the accuracy of this barrel. It shoots < 1 MOA all day. Cleans up easy and doesn't copper foul much at all, after short breakin. I'm looking forward to many trips to the range and in the field with this barrel set up. Fit and finish is nice quality on the various parts on my order. Shipment and packaging was exceptional good. Copy and paste this to each item. I am not going to review each nut and bolt on the order. Very happy with my 24 fluted bull barrel. My first AR build, and it is certainly more accurate than I am at this stage. I used a DPMS vented forend, which fitted perfectly, as did the JPGS-8 adjustable gas block. 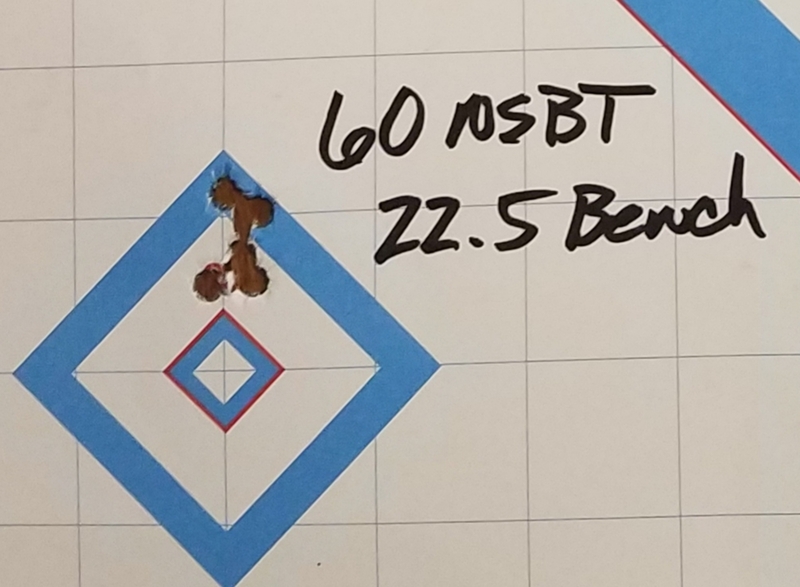 Still breaking in and getting used to my new toy, but it does seem to like 55gr. best so far, with heavier (62 and 69gr.) bullets spreading quite a bit. Not as ready to install as assume some machining has to be done for the gas block. It was a pain to have done but came out beautiful. Just broken in plus 100rds shooting .75 ten rds grps at 200 yds with 68 grn hpbt hornady not bad! Once we fire at 600 , 800 and 1,000yds we will update! Just assembling my rifle right now, seems like a nice barrel. Be advised barrel diameter is 1.118 and standard barrel nuts will not work without opening them up. With care this can be done by hand. Luckily I have a friend with a lathe. 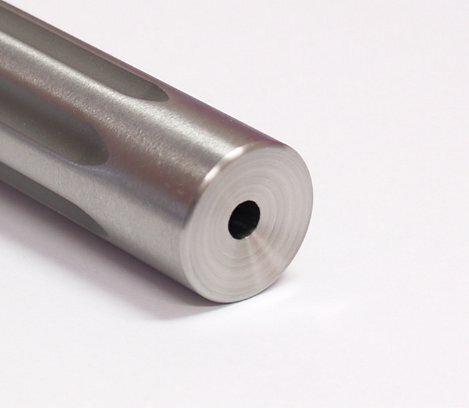 The Apex Gatorgrip forend I'm using requires a standard barrel nut. Product appears great, just broke it in, haven't fired for group yet. Twist rate not marked on barrel.